My books are about conversations. The talk that is going on inside us everyday, internal and external that creates our life. “My Hands Talking” is one of the Talking Books series and is made up of 52 color painted hands, each with their own short statement of life and story. 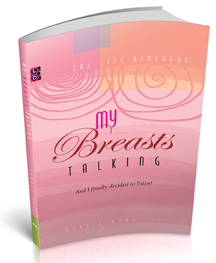 “My Breasts Talking” is one of the Talking Book series and is made up of over 100 funny comments and insights about having breasts. 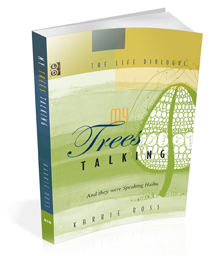 “My Trees Talking” is one of the Talking Book series and is made up of 100 pen and ink drawings of trees. Not your normal trees, but MY trees that each contain a root system, branches and leaves AND they each have their own haiku to share. Got Shui? Is part of the “My Way Feng Shui” concepts where I go into detail about the way I see feng shui. There are fun insights and crazy descriptions at time but mostly you’ll really like what I have to share. 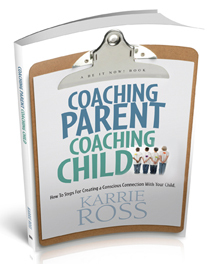 “Coaching Parent Coaching Child” is an award winning book about parenting. I go into detail at the end with over 20 different words, actions, concepts where I walk the parent through the awareness of the action and then I walk the parent through them noticing and coaching their child in the same awareness. I invite you to take a look at the brands and products I’ve created over the years that are available for licensing opportunities.